Making your own art is the easiest way to add a touch of your unique personality to your home. 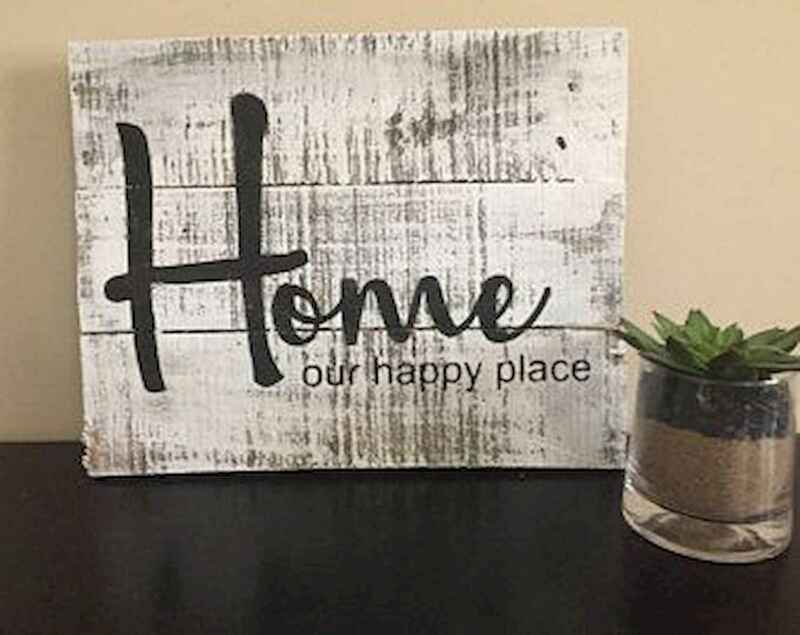 If you want to give your living space a rustic or vintage feel, try one of these 35 unique DIY pallet signs. This list has DIY pallet sign ideas for every room in the house from the laundry room to the kitchen to the bedroom. There are even projects for your outdoor spaces, too! Greet family and friends with a warm “Welcome” sign or spruce up your back yard with one of the outdoor garden pallet signs. Show guests what your family is all about by adding a quote to your DIY art. You can use one of the ideas on this list or use one of your own favorite sayings. All of these DIY wood pallet sign projects are super easy to make and can be done in just one afternoon. Grab a pallet, some paint and stain, and a brush and get started! Not only are these projects pretty, many of them are also functional. With shelves, bulletin boards, hanging racks, and coffee cup hooks, you can be organized and stylish. Check out all 35 DIY pallet signs and find your favorite!